With pet food recalls going on, dog food comparison information is extremely important for us dog lovers to read about. We need to learn dog food recall information, what brands were recalled and the reason for the recalls. 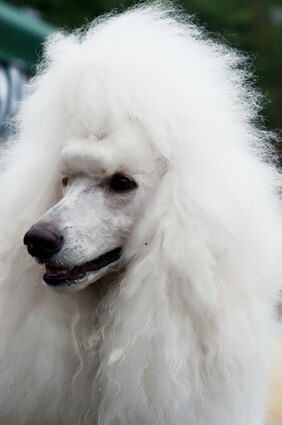 As owners of poodles, we need to stay on top of our poodle's health as they can't do it for themselves. It's extremely important to pick food that won't sicken or harm our dogs. 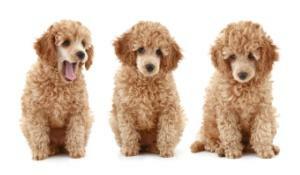 Petsumer Report™ is a must read for every poodle lover and owner. There are comparisons on pet food brands to make sure you are buying the most natural and healthy dog food that is available for purchase. Reports have surfaced linking many common pet food ingredients to cancer and serious illness from dog food that contains cheap ingredients. Petsumer Report™ tells you what the pet food label does not! I recommend a year's online subscription, and I think it's something you'll want to renew after the first year is up. You'll see over 1700 pet and dog food reviews which will be instrumental in helping you choose the best dog food for your poodle. The dog food bag or label won't give you details on what is really contained in that food, and "premium" or "choice" ingredients might not mean what is stated. The report tells you which Pet Food Manufacturers have APHIS EU Certification, which use all U.S. ingredients, which use BPA lined cans and who uses risky chemicals and dyes. If you want your poodle to eat healthy, safe food, this report is crucial for you. Petsumer Report™ alerts you to risky ingredients, ingredient country of origin, grade or quality of meat ingredients, and a list of health promoting ingredients for pet foods sold in the U.S. and Canada. The dog food comparison information will help you learn so much about the dog food you are feeding your poodle and can make a change if you're not happy with the ingredients. You'll see a quality meat protein list and a health promoting ingredients list along with notes that make you aware of pet foods with controversial ingredients, by-products, chemical preservatives, animal fats, chelated or proteinated minerals, and probiotics plus pet food company information including who and where the food is manufactured and any special safety or quality control certifications. We want our pets to put healthy ingredients into their bodies, just like we want to. It's up to us to be proactive in regards to our poodles' health, diet and food. Be proactive by comparing the dog foods out there and making an informed choice on what to buy, and what not to buy for your precious poodle.